The name Gucci may be synonymous with Italian style, but the house's most recent collection took cues from the robust sartorial catalog of Britain. 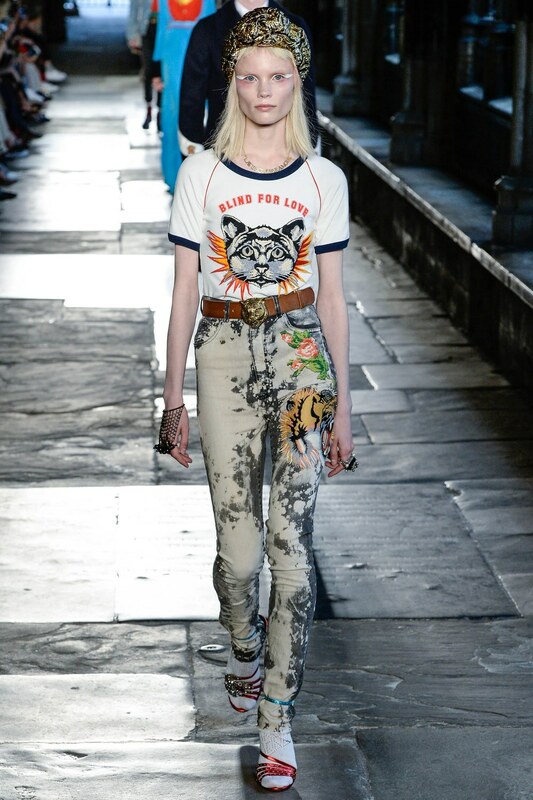 The influence within Alessandro Michele's distinct designs is as apparent as it is abundant. 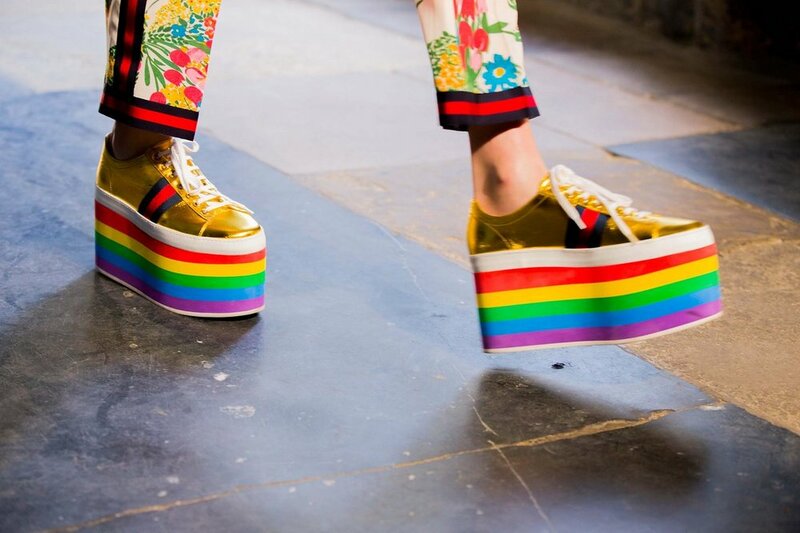 Queen Elizabeth I, Punk, Mary Poppins, Mods, The Spice Girls, and the ever lovable English-grandmother-who-makes-jam-in-the-country-side all make an appearance in Michele's kaleidoscopic collection. That's definitely not a bad thing. 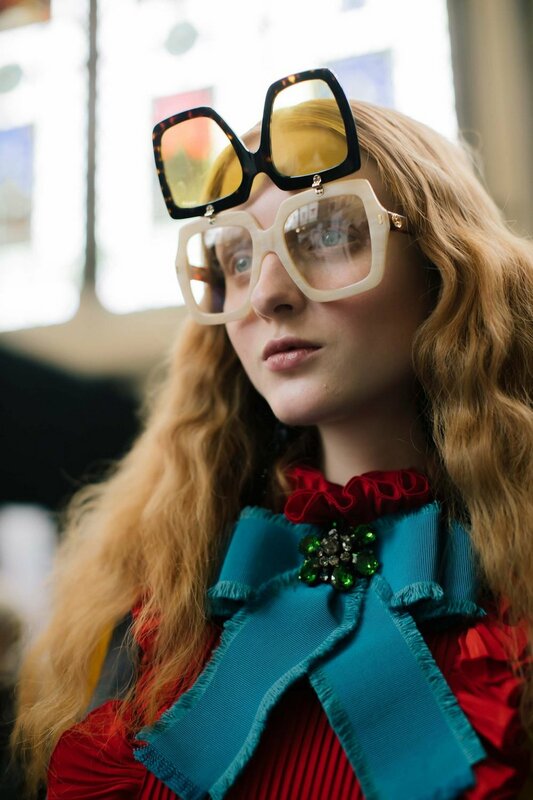 Fusing the cultural trademarks associated with England through its history through the classic Gucci lenses made for a fresh, intriguing collection from the designer often accused of being a one-trick-pony.